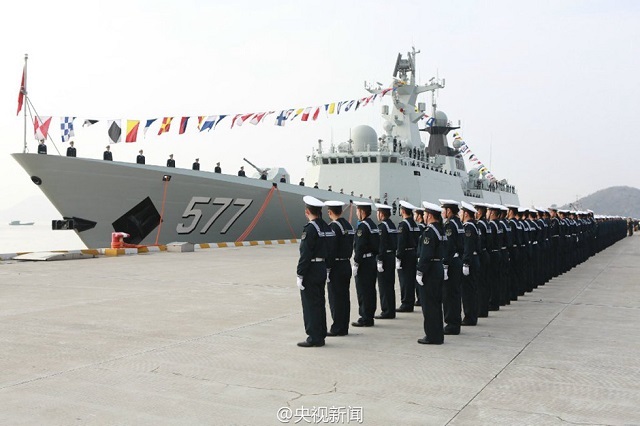 A commissioning, naming and flag-presenting ceremony of the new "Huanggang" Frigate of the Chinese Navy (PLAN) was held was held at a naval port in Zhoushan city in east China’s Zhejiang province on the morning of January 16, 2015, marking the ship has been officially commissioned to the Navy of the Chinese People's Liberation Army (PLAN). "Huanggang" is the seventeenth Type 054A Guided Missile Frigate (NATO designation: Jiangkai II class FFG). According to a Chinese MOD statement, As a new-generation guided missile frigate independently designed, developed and manufactured by China, the "Huanggang" warship, with a hull number of 577, has a maximum length of 140 meters, a width of 16 meters, and a full-load displacement of more than 4,000 tons. The new "Huanggang" Frigate is the first Type 054A vessel to be fitted with upgraded systems. 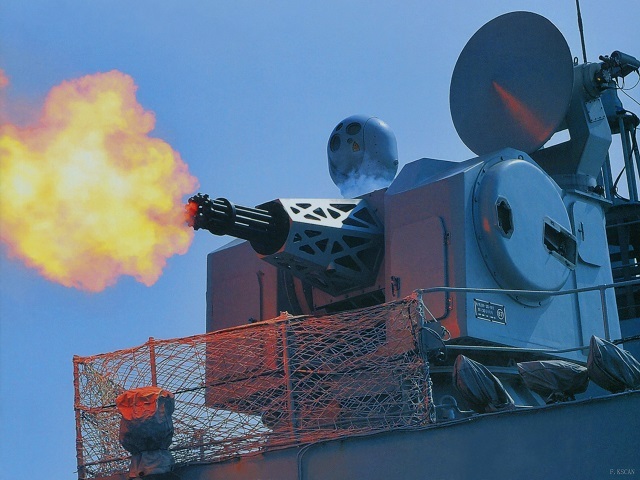 The most visible upgrade consists in the replacement of the close in weapon systems (CIWS): The H/PJ-12 seven-barreled 30mm CIWS (sometimes referred as Type 730 which is the export designation.) present on the first to the sixteenth frigate in the series has been replaced by the much larger H/PJ-11 eleven-barreled 30mm CIWS (export designation Type 1130). The new H/PJ-11 appears to be an evolution of H/PJ-12. It has an increased rate of fire (local media have reported a 10,000 rounds per minute firing rate. 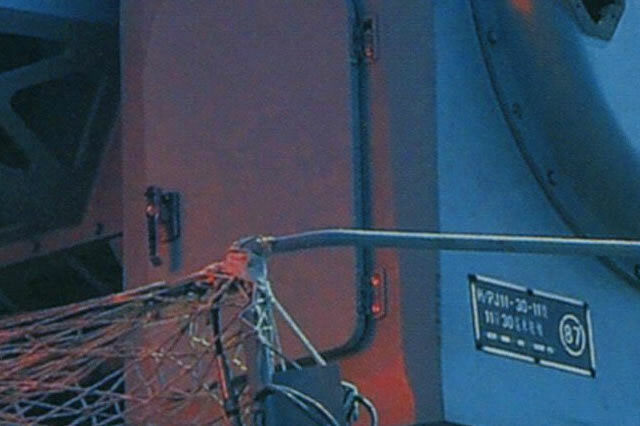 This type of CIWS was so far exclusively fitted on the Liaoning aircraft carrier. Chinese TV reported that following studies and testing, H/PJ-11 is able to intercept incoming anti-ship missiles up to a speed of Mach 4 with a 96% success rate. 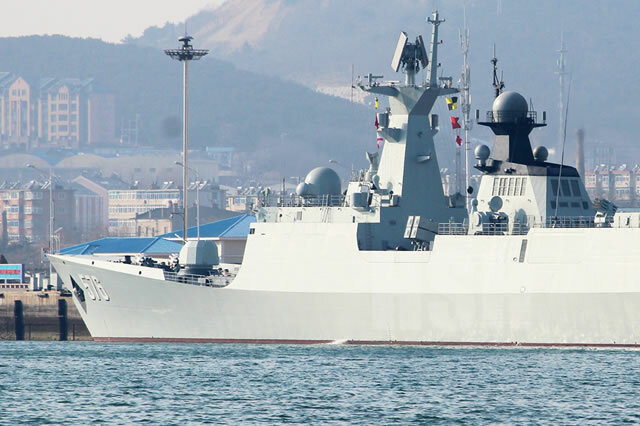 Other modifications or upgrades are unspecified by Chinese media mentioned the likelihood of the presence of new towed array and variable depth sonars, one of which could well be Type 311 already present on board the new Type 056A ASW corvettes. Finally, it is worth noting that it took 628 days to commission the "Huanggang" Frigate while the average was only 363 days for the first 16 Type 054A Frigates. This could indicate a large number of new systems onboard the seventeenth Type 054A. All future vessel of the series should be fitted with the same CIWS and systems. Type 054A Frigates are fitted with 32 VLS (Vertical Launch System) cells for HQ-16 surface to air missiles, 8 C-803 anti-ship missiles, a H/PJ-26 76mm main gun, two Type 730 30 mm CIWS guns (for frigates 1 to 16 in the series), two triple YU-7 torpedo launchers and anti-submarine rocket launchers for ASW warfare.